These articles are currently drafts and your feedback is highly appreciated. Changes in content and format are still upcoming. Your contribution is highly appreciated, please see the end of the page for more information. These articles are for private use. Unauthorized distribution is not permitted. You can get most of the information on the internet, but: It is not structured and mostly single websites are specific for single areas. These articles are a “One-Stop-Shop” for a good foundation to build on. 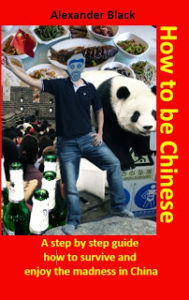 The main author graduated in business and has years of experience in the Chinese market. He started writing these since there was no publication with a similar scope which he would have bought happily during the transition in his role of being a manager. Other experts in their area support by proof-reading. You are very welcome to contribute too! You have comments? Feel free to leave them here! If you have comments, please send them to or use the contact form below. – Are you missing important information?